The safest way to browse, bank, work, shop, and interact online. If you haven’t already installed your Webroot security product, click Download now. Webroot security only takes seconds to install, and protects you from viruses and other online threats without slowing your computers down. Don't forget to set up your online account to monitor all your secured devices from one location. Click on the DOWNLOAD NOW (PC) link for your product version. When prompted, click Save and make note of where the file is saved to your computer. Locate the saved file and double-click the file to start the installation. When prompted, enter the Keycode from your trial download card. Continue to follow the installation instructions as they appear. Mac® computers need security too. If you haven’t already installed your Webroot security product, click Download now. 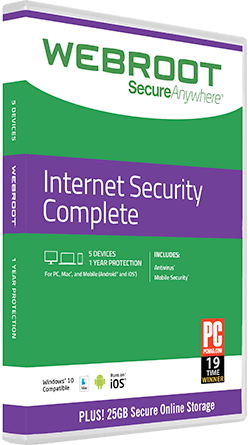 It just takes a few seconds to get the most powerful protection against viruses and other online threats. Click on the DOWNLOAD NOW (Mac) link for your product version. Double-click Webroot SecureAnywhere app to open the installer. Open the Applications folder by double-clicking the folder icon. In the Applications folder, double-click the Webroot SecureAnywhere icon to begin activation. In the first activation window, enter the Keycode from your trial download card. Click the Activate button. After you enter the keycode, a system prompt asks if you want to allow SecureAnywhere to make changes to your system. To confirm the installation, enter your Apple system password and click OK.